Home SSL Certificate Do You Really Need A Free SSL Certificate? Do You Really Need A Free SSL Certificate? If you’re considering installing an SSL Certificate for your website or just starting learning about this online security service, you’ve probably noticed that they come in various forms and prices. And even, some are offered for free. It seems that there is no need to invest in a paid SSL certificate when both are issued with 256-bit certificate encryption and 2048-bit key encryption. Is that really the truth? We’re going to figure it out in this article. Just as the name implies, a free SSL certificate doesn’t have a price tag attached to it. 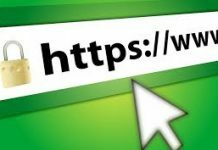 Since the SSL certificates are available free of cost, all websites can get access to HTTPS to avoid being marked as “non-secure” sites by search engines like Google. Generally speaking, there are two categories of free SSL certificate. “Self-Signed Certificates” are signed by the issuers themselves instead of a Certificate Authority (CA). Another type of free SSL certificates are signed by a CA and offers the same level of encryption as paid SSL certificates. However, as a self-signed SSL certificates was not verified by a trusted CA, they prompt most web servers to display a security alert to advise visitors to leave the page for security concerns. Free of cost – The main advantage of free SSL certificates is FREE, obviously! Simple Installation Process – Designed to make HTTPS encryption available to all websites, free SSL certificates include a far simpler installation process than traditional ones. Even better, most best web hosting providers have included built-in support for 1-click installation for the free SSL certificate in the control panel. 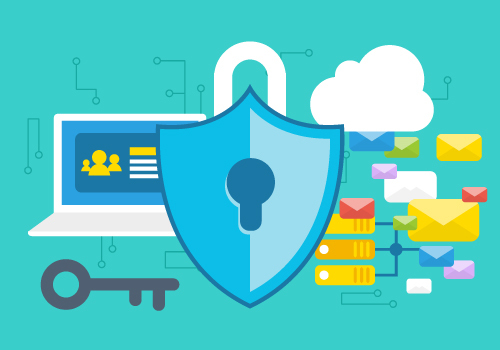 Secure – Free SSL certificates provide a secure connection between your web server and visitors. Similar to free web hosting providers, free SSL certificate come with limitations and risks. 1. Domain Validation only—Free SSL certificates can be issued within a few minutes, free of charge. There is no other single validation option that can achieve such a high efficiency but Domain Validation. It makes sense for personal blog sites or small websites, but for larger websites or applications that collect personal information about users, they need go further to get their actual organization validated, at least. 2. Limited Lifetime—Free SSL certificates offered by popular CAs usually are issued for only 30 to 90 days, which is much shorter than a paid SSL certificate’s 1 or 2 years. As a result of that, you also have to reissue and install the free SSL certificate frequently. 3. Entry-Level Trust—Since there is only domain validation process required with a free SSL certificate, they don’t have visual indicators such as a well-placed site seal and green address bar to gain customers’ trust and make them be willing to buy from you. The only way for you to deliver such privileges is going with an OV or EV certificate, which, with no doubt, are paid solutions. 4. Tardy Customer Support—Contrary to paid SSL certificates which are committed to offering customers 24/7/365 technical support, free SSL issuers can only give limited customer service. So, your issues may not be able to be resolved timely. 5. Warranty—A free SSL certificate gets you nothing when there is a catastrophic failure of the CA’s PKI or other damages happened to the CA’s end. 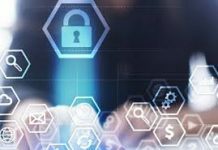 In contrast, a paid SSL certificate will come backed by warranties from hundreds to millions dollars to make compensation for your loss if you incur as a result of a data breach or back that was caused due to a flaw in the certificate. Who Are Offering Free SSL Certificates? When it comes to free SSL certificate available in the market, Let’s Encrypt must be the first brand most people can think of. This is the most popular free solution included in web hosting plans. For example, Bisend enables customers to install a free Let’s Encrypt SSL in their Plesk Onyx with simple clicks. Besides Let’s Encrypt, CloudFlare has a shared SSL certificate in their free plan, and FreeSSL is a free SSL certificate project from Symantec and designed to help startups or nonprofit get their sites up and running with HTTPS. When To Consider A Free SSL Certificate? Free of cost is the biggest reason why people choose a free SSL certificate. However, it is not the only one. Most website owners, large and small, tend to go with a free SSL certificate first just because they want an opportunity to test their websites and this security service does so at no cost or risk. A free SSL certificates gives you a period of time to test the website. You don’t need to launch it in a hurry before your IT staff gets everything done and ensure it is ready to go live. Also, if you’re just running a small website with no business purposes, you’re looking for the fastest and most affordable way to get your website rid of non-secure alert, a free SSL certificate meets your needs and secures your website in just a few minutes. When You Need Upgrade to a Paid SSL Certificate? Although free SSL certificates may seem a great, cost-free security solution, they have fatal drawbacks. Sometimes, you need a paid SSL certificate for benefit from more flexibility and a wide variety of benefits. The good news is, a free SSL certificate doesn’t prevent you from upgrading to a better later, meaning that you have the freedom to install a paid SSL certificate anytime as your website grows. Recognition—Paid SSL certificates make your website seem more reliable and trusted, after all they are issued by reputable CAs. You customers will have the right to report any issue to the CA and the CA is obliged to launch an immediate investigation, which leads to a safer feeling. Various Options—Paid SSL certificates comes with three validation options, including DV, OV and EV. Based on the complexity of your website, you can choose from single-domain, multi-domain, and wildcard SSL certificates; besides, there are code signing and email signing certificates to secure downloadable software and emails & documents. Server Compatibility—You can install a paid SSL certificate on a shared, VPS or dedicated server, regardless of it is self-managed or fully-managed. Namely, there is no limit to the setting up process. Extended Lifetime—The validity period of a paid SSL certificate usually is one or two years. Due to that, your website can keep secure for a long time and your business can run smoothly before it expires. You can also save time renewing the SSL certificate frequently and periodically as you do with a free option. 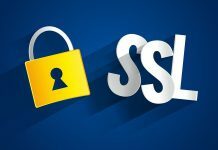 In the SSL industry, there are many SSL resellers on the web who offer highly secure, affordable SSL certificates to fulfill your security needs. When choosing a paid SSL certificate from a reseller, what you should take into consideration is whether they have a team of SSL experts available around the clock to provide support and answer questions instantly. Luckily, Bisend is such a reliable SSL certificate reseller. You can find a complete list of the most popular paid SSL certificates at Bisend SSL Certificate Store and we have friendly, skilled experts to make recommendations to support your SSL certificate needs. Most importantly, we have the cheapest prices you can find on the web! Next articleWhy You Need SSL Certificate? 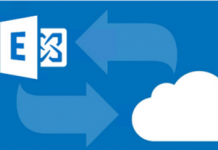 How To Set Up Free SSL Certificate in Bisend? Why You Need EV Code Signing Certificate? How To Create a Magento Store? How to Choose Hong Kong WordPress Web Hosting?